Sunshine and I recently were able to take a much needed Vacation . lucky for us we have family in toronto Canada. while there we took advantage of a program called City Pass. 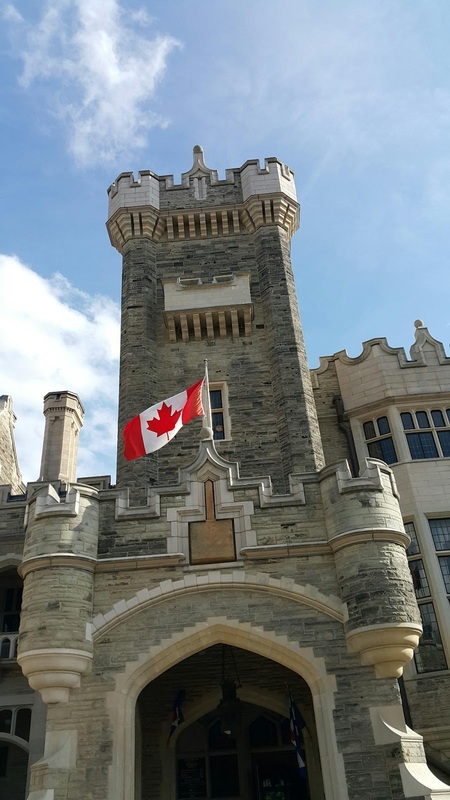 one of the attractions was Casa Loma . A Castle built before WWI . The owner wanted a place that reminded him of his Scottish Roots Erm in the 1920's the home cost 3.5 million dollars to build. Uafrtemwly, MR. pellet Ran out of money before he Was able to move in and live there for any length of time . The Castle Home is a great family attraction . A Couple of the cool parts include the hall in the basement close to the Cafe. this hall inehdes all the movie posters d. moves that had beer filmed at Casa Loma. There Is a tunnel that goes across the street to the carriage house and garage however it was closed the day we Showed up .